Democrat Steven Horsford, who is running for his former seat in Nevada’s 4th Congressional District, said his priorities for rural Nye and Esmeralda counties are to improve health care and build an economy that works for “all of us” in every community. Thinkstock Steven Horsford represented Nevada’s 4th Congressional District from 2013 to 2015. Heather Ruth/Pahrump Valley Times The election is Nov 6. Early voting starts Oct. 20. Las Vegas Review-Journal Cresent Hardy, left, and Steven Horsford, candidates for 4th Congressional District. 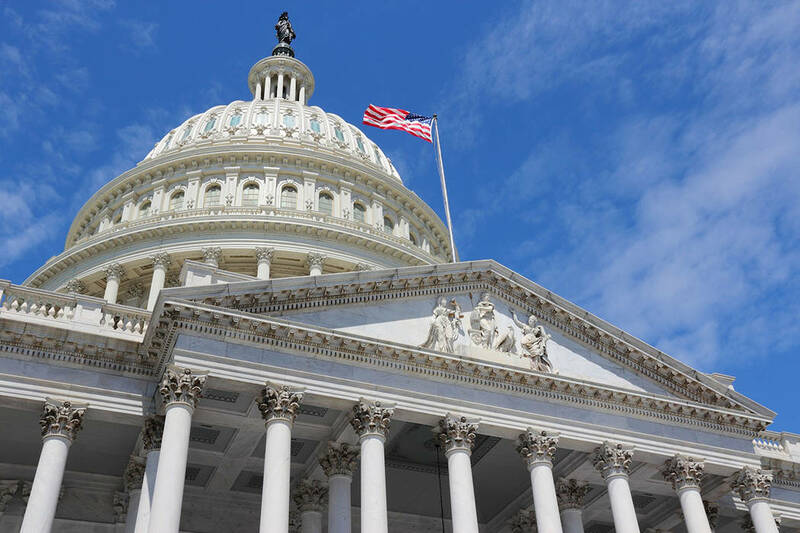 “People should not have to travel hours to see a doctor, so I will work to connect medical professionals with communities in Pahrump and Tonopah and address the doctor shortage we’re facing across the state,” Horsford said about rural health care. Horsford said he will work to bring new and expanding industries to Nevada, like clean energy, data storage, and distribution facilities. “I will also fight for infrastructure and skills training programs to strongly position all parts of the district for future economic development opportunities,” Horsford said. Horsford, who represented Nevada’s 4th Congressional District from 2013 to 2015, is running against Republican Cresent Hardy, another former incumbent of the district who was defeated by former Nevada State Sen. Ruben Kihuen in 2016. Horsford became a congressman in 2012 after defeating Republican Danny Tarkanian. During his time in Congress, he built a bipartisan caucus to kickstart the Interstate-11 project, the first section of which recently opened, and led on legislation that transferred federally-managed land to the local government for economic development. After serving one term, Horsford lost his seat to Hardy, a Mesquite business owner who pulled a surprise upset in a Democratic-leaning district thanks to the 2014 “red wave” when Republicans seized control of the House. Horsford announced his run for his old House seat in January after Kihuen said that he will not seek re-election in the wake of sexual assault allegations that surfaced last year. 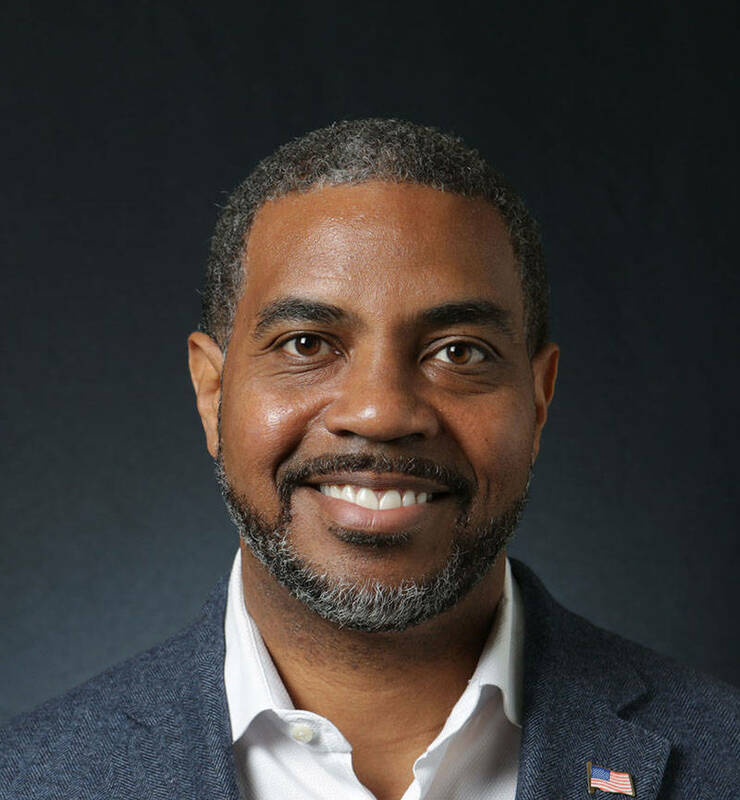 Horsford, who currently runs his own business, Resources Plus, emerged as a winner of the Democratic primary election in June. 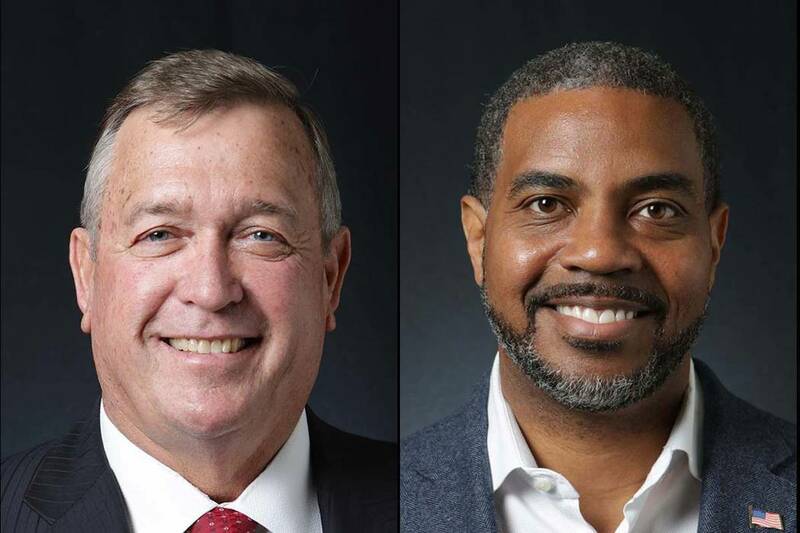 Prior to serving in Congress, Horsford was at the helm of the Culinary Academy and Nevada Partners for more than a decade, according to the information posted on his campaign’s website. In 2008, he became Nevada’s first African-American State Senate majority leader. 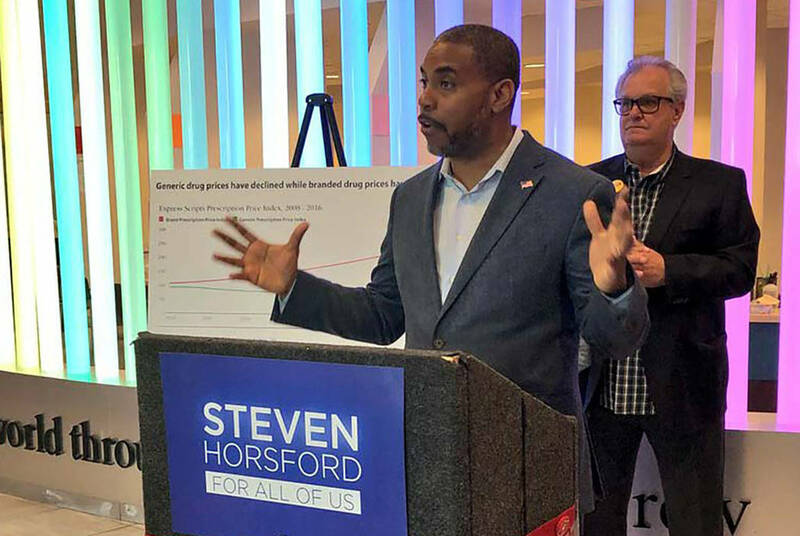 Horsford has expressed his displeasure with the Trump administration’s policies on his campaign’s website, which said that his campaign is focused on “talking with voters about the issues that matter to them and offering solutions,” such as his plan to take on the pharmaceutical companies and drive down the costs of life-saving medications. “It is unconscionable that people have to choose between paying their bills or buying their medications while pharmaceutical companies rake in record profits,” he said. Horsford draws a contrast between himself and Hardy. Horsford touted his record in public office and nonprofit leadership where he said he had fought to create opportunities for working families. “I have worked to train and place thousands of Nevadans for careers in hospitality, technology, construction, and other in-demand industries. My opponent, however, supports tax cuts for billionaires and big corporations that are paid for by cutting your hard-earned Social Security and Medicare benefits,” Horsford said. Horsford scored endorsements from former President Barack Obama, former Vice President Joe Biden and an array of labor unions and progressive organizations, including pro-choice organization NARAL and End Citizens United, a political action committee that’s working to reverse the decision by the U.S. Supreme Court that deregulated limits on political campaign contributions for wealthy donors and corporations. “When I served in Congress, I heard about the delays in constructing the VA clinic in Pahrump, so I personally called the VA secretary multiple times until they agreed to move forward and with the project. When I learned that Mineral County did not have the appropriate equipment needed to respond to emergencies, I helped them get a grant for an off-road ambulance. If elected, I am committed to listening to people and working with all willing parties to find solutions that will improve our communities,” he said. Nevada’s 4th Congressional District includes northern Clark County, all of Nye, Lincoln, Esmeralda, and Mineral counties and the southern part of Lyon County. I was an original sponsor of bipartisan legislation in the House that would improve border security and provide an opportunity for those who are undocumented to earn citizenship. Different communities have different needs and opportunities. I will work with local leaders to bring new and expanding industries to Nevada, including clean energy, data storage, and distribution facilities. I will also fight for infrastructure and skills training programs to ensure rural economies can take advantage of new opportunities. I’m proud of our work to get the past Veterans Administration to jump-start construction of the Pahrump community-based outpatient clinic that was opened in 2016. The Veterans Clinic is a leading user of telemedicine in Nevada and is an example of how we can and must improve health care in every part of Nevada. I will support incentives that attract additional medical professionals to rural communities and will fight to fully fund the VA so the resources are available to improve veterans’ health care. I oppose storing nuclear waste at Yucca Mountain. That said, appropriate alternatives should be identified for use of the facility so that the money invested in the development of this site doesn’t go to waste. We should find an alternative use for the site that grows the local and regional economy. I support common-sense proposals that will help keep our communities safe, including banning bump stocks and universal background checks. Wages have flatlined, making it harder for working families to get by, all while the wealthiest corporations rake in record profits. I support raising the minimum wage to ensure working people are able to provide for themselves and their families, taking into account the need to provide flexibility for small businesses with under 50 employees. Our public lands belong to all of us, and we should all have a say in how they are managed. As studies indicate, state and local governments do not have the resources to properly maintain the vast public lands across our state, but there are opportunities to balance conservation with economic development. I support tax relief for the middle class and small businesses that are fair and actually help working families. I cannot support tax cuts for large corporations that are paid for by cutting Social Security, Medicare, or other important benefits. The Affordable Care Act is not perfect, but the answer is not to strip health care away from thousands of Nevadans as my opponent wants to do. I support universal health care that ensures everyone can receive the care they need. Esmeralda mine could become largest lithium producer in U.S.